Are Short Language Courses Beneficial? 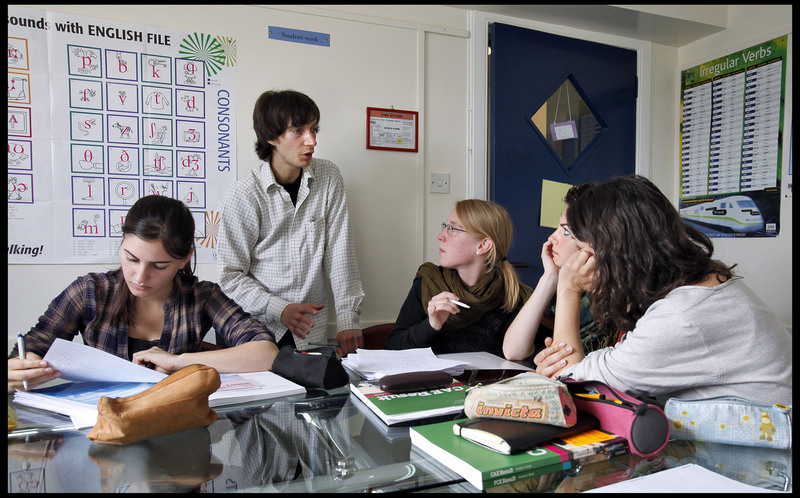 Many students choose to study a language course for a long period of time as they wish to improve as much as possible. But, this type of extended study is not for everyone. Some students may only have 2 weeks holiday from work, or only 2 weeks in between terms at school or University. Often, it will even come down to cost and students will invest in a course for as long as they can afford, which could only be 2 weeks – or even 1! So, is there a benefit in doing such a short immersion course or would it be better to invest in a longer course in your home country? I feel that both are acceptable! I am currently looking to start a Spanish course (having discovered that I have some aptitude for Spanish) which will take place over summer, for 4 hours a week over 2 nights, plus 1-2 hours of homework each week. So, let’s say, 6 hours a week of study over 4 weeks, so 24 hours in total. This should give me grounding in the language, give me some vital base vocabulary and introduce me to basic grammar so that if I venture to Spain on holiday, I should be able to, at least, order a coffee. Take that further and I will slowly learn more over an extended period of time. But, I don’t think I would achieve fluency. Maybe in 20 years or so and after 3456 hours of study, which is not ideal if I wish to be able to use the language in business, for example – my career would be over before fluency! However, if I were to take a two week holiday, I could do that in Spain, where I could also take an immersion language course. If I were to take an intensive course, then, in one week, I could study for the same number of hours as I did over 4 weeks back home. Plus, I would be using the language out of the classroom, further strengthening my communication skills. Additionally, as the classes are close together, I would also probably remember more from morning to afternoon than I would back home in between my class on a Wednesday and my next class the following Monday, thus I would develop much quicker. This point is discussed in a blog by Communicad, using research from Shona Whyte, and it supports my assumption. Also, having come from a Psychology background, specialising in Biological Psychology, I am aware of the neural pathways needed to turn short-term memory into long-term memory and I know that this works more effectively with shorter time spans between learning intervals. Therefore, I feel that a short language course is an ideal way for me to supplement my own language learning back home. I believe that I would come back with better understanding and a more advanced level having condensed 2 months learning into two weeks. I also feel that this would help me to achieve fluency much quicker, thus being of quicker benefit to my career progression. It may, then, be a good option for you, the reader, to consider a short, intensive language course over this summer. If you are studying a language course at home, then I have no doubt that a short course will be of benefit to you and will see you becoming a more confident user of your language. It’s certainly something that I will be doing! It is well known and globally apparent that the world’s economy is not in the best of shape. As a result, people are forced to tighten their budgets, which often means that further investment in education is neglected. However, this can often be short-sighted and a miscalculation that could be costly, both in times of economic hardship and in economic prosperity. In the increasingly globalised world, where business is conducted in many different countries, companies are increasingly looking for those who can meet the demands of this by being bilingual. Indeed, simply typing in the term “bilingual” today into reed.co.uk, my search returned 350 jobs asking for bilingual applicants. Careerbuilder.com wrote in 2009 that 31% of executives spoke 2 languages in a survey of over 12,000 respondents and in their search results, 6000 jobs were advertised for bilingual applicants. If you remember, 2009 was a particularly difficult year for employment after the global recession hit in 2008 – so it seems logical that applications speaking 2 languages held more of a chance of gaining employment than those who didn’t. Of course, the case cannot be as black and white as this. However, it does not change the fact that today’s search or the search by Careerbuilder in 2009 created many job opportunities that could not be applied for by someone who speaks only one language. When searching for jobs, have you ever seen the phrase “bilingual applicant preferred”? I know I have – and I didn’t apply. With my experience and skills to date, I feel that it is highly likely that someone would have comparable skills and also a second language. Which applicant do you think would secure the role? It’s highly likely that the bilingual applicant would have nudged me out of the field, leaving me to continue my search. Thus, I would say that it is a justifiable case that there is probably more opportunity to gain a role in a tough economy if you are bilingual. Well, one would assume, having gained employment at a difficult time, you will be suitably experienced by the time the economy recovers and companies start to grow again. Thus, you would be ideally placed to secure that promotion or, indeed, move to a higher role in a different organisation. You would have gained the experience that many people had failed to achieve in the same time frame and as such, could reap the benefits when purse strings are loosened. In short, you are doing yourself a massive favour by learning another language. Therefore, when considering what will bring the best value for your money, when you do not have much spare – it would be a good idea to invest in language study. It could prove to be the best thing you did for your current and future prospects and see you weather any financial storm that may come in the future.